According to the National Alliance on Mental Illness, 20 percent of teenagers between the ages of 13 and 18 live with a mental health condition, and 50% of all lifetime cases of mental illness begin by age 14. While every type of mental illness has its unique set of warning signs, there are common themes that stand out. Here are 10 ways teenagers may show signs of their emotional pain. A sudden and ongoing lack of self-care can be a common indicator of a deeper problem. If you’re noticing that your child is not brushing their teeth, washing their hair, or changing their clothes for weeks or even months at a time, there’s a chance they might be struggling with depression, bipolar disorder, trauma, or another form of mental illness. Personality shifts that are sharply out of character can point to the possibility of a mental health disorder. If you notice that your teen is exhibiting signs of abnormal aggressiveness, impulsive thrill-seeking behavior, or uncontrollable feelings of euphoria, schedule an appointment to have your teen assessed by a healthcare professional. Excessive weight loss or weight gain can be a sign that your teen is struggling with an eating disorder. According to NEDA, half of girls and nearly one-third of boys use unhealthy tactics such as skipping meals, fasting, vomiting and taking laxatives to control their weight. Conversely, secretly hiding food or being unable to control food intake can point to the possibility of a binge eating disorder. Poor academic achievement and mental illness tend to go hand in hand. A slip here and there is common; however, increasingly declining grades for consecutive semesters might indicate a more significant issue. If you’ve ruled out problems such as ADHD or dyslexia, but you’re noticing that your teen is still struggling with concentration, organization, planning, memory, or the execution of simple tasks, it could point to anxiety, depression, or another form of mental illness. Depressed teens tend to lose interest in almost everything –– even things that were once fun and exciting. Have you noticed that your teen has abruptly withdrawn from sports, music, dance, or other extracurriculars that they once found enjoyable? Has she or he suddenly given up on their favorite hobbies and activities? Adolescents may show signs of physical, mental, or motivational fatigue on occasion. If your son or daughter begins to exhibit extreme signs of fatigue and lethargy though, it could be a sign of an underlying condition. Common things to look for are constant sleepiness throughout the day, slow or sluggish movements, and difficulty staying engaged at school and other activities. 8 to 10 hours of sleep each night in order to perform their best during waking hours. If you’re noticing unusual sleep patterns such as excessive sleeping or insomnia, however, it may be a sign that a mental illness may exist. Studies estimate that about 90% of children with depression experience some kind of sleep problem. Has your son or daughter abandoned their typically social nature for a more isolated environment? It’s common for teenagers to hide their depression or anxiety for fear of being judged or misunderstood, and one way of doing this is by avoiding friends and family. Adolescence is a difficult time for most, and temporary feelings of sadness, shame, or guilt tend to pop up every now and then. 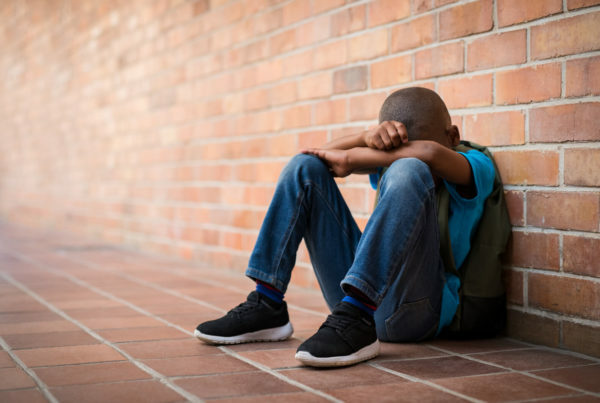 But when these types of feelings are prolonged or become so debilitating that your child has difficulty managing daily life, there’s a chance that a much more serious problem is at hand. Teens who suffer from undiagnosed depression, anxiety, ADHD, bipolar disorder, or other types of mental illness often self-medicate as a method of escapism. Unfortunately, this only winds up making their condition worse and can lead to a substance use disorder. 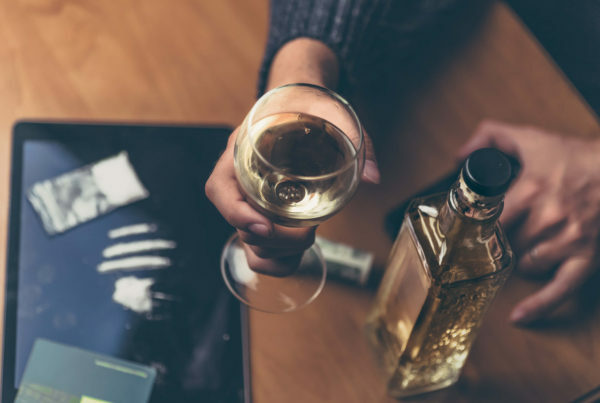 If you believe your teen is engaging in heavy drug or alcohol use, contact a healthcare professional right away. Learning everything you can about mental health is an important first step in ensuring your child’s safety and wellbeing. From there, open up a dialogue with your teenager by letting them know the specific signs you have noticed that worry you. Remember to come from a place of love, understanding, and compassion. Don’t overwhelm them with too many questions and refrain from passing judgment. Be willing to truly listen and provide whatever support they need. If you think your teen is in danger of harming themselves or others, don’t be afraid to reach out and ask for help. A mental health professional can prescribe an effective treatment plan so your child can get the help he or she deserves.